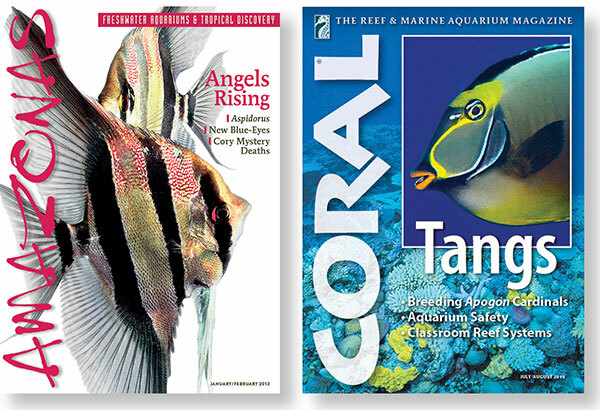 Flagship publications of Reef to Rainforest Media: the world’s premier aquarium magazines in the English language. • Independently owned by a small-town publisher whose history of producing award-winning special interest titles dates back to 1976, Reef to Rainforest publishes high-acclaimed magazines, digital content, and books for aquarists and underwater naturalists. • CORAL is the world’s leading marine aquarium magazine, read in English in more than 100 countries. Available in high-quality print and digital editions. • AMAZONAS is the world’s leading freshwater-only aquarium magazine. Both titles are originally published in German by Matthias Schmidt and Natur und Tier -Verlag, Meunster, Germany, and are now available in English in high-quality print and digital editions produced by Reef to Rainforest Media. The English-language editions are edited, designed, and printed in the United States. Reef to Rainforest Media, LLC is a Vermont company registered in 2009. • MICROCOSM, Ltd. is an affiliate company founded in 1996 to produce books, calendars, and other aquarium and ecology-related materials. 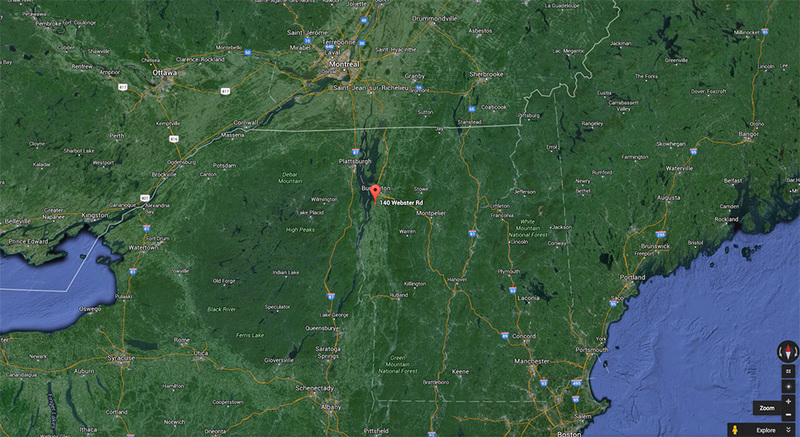 Shelburne, Vermont, on the shores of Lake Champlain, is the home of Reef to Rainforest Media. Canada to the North; Maine and the Atlantic Ocean to the East; Massachusetts to the South; Adirondack Park and New York State to the West. Click to enlarge. Map: Google Earth.